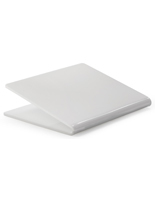 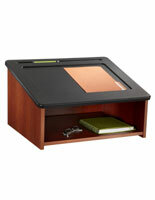 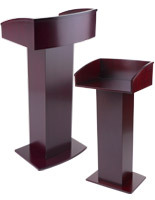 More Color & Tabletop Color Options Available! 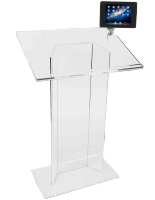 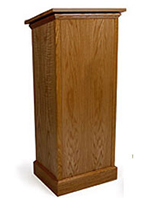 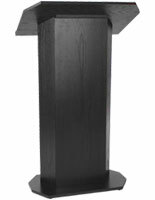 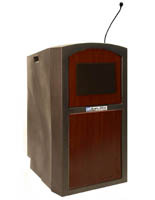 Classroom podiums are different from many other lecterns in that they are designed specifically for educational environments. 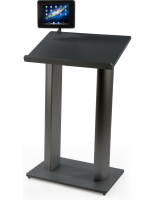 For this reason, several options include multimedia capabilities such as tablet mounts, microphones, and ventilated storage cabinents for electronics. 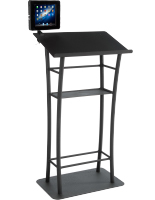 This way, teachers and professors can fully engage their subjects while supplementing their curriculum with modern technology. 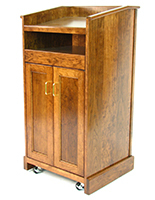 Other models are a little more basic in design and are ideal for traditional environments that do not utilize a lot of technology like churches for example. 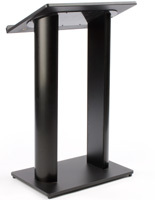 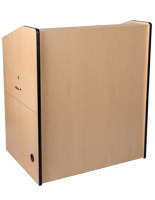 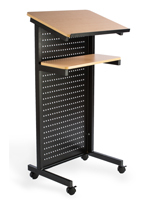 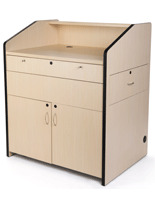 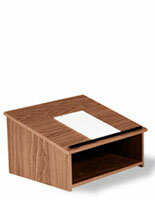 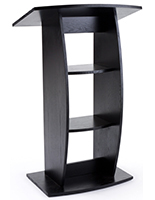 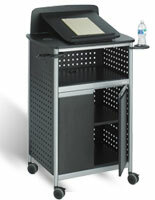 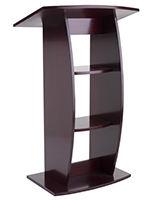 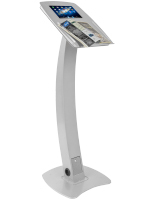 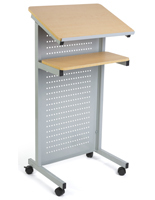 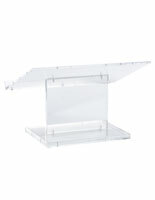 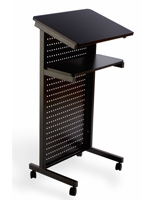 With so many great educational lecterns to choose from, there is sure to be an option for every application. 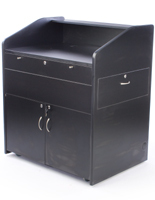 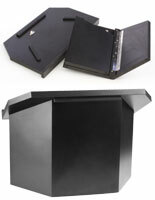 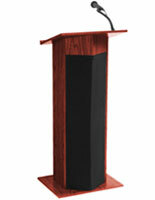 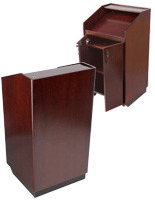 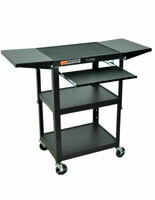 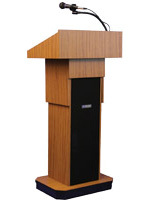 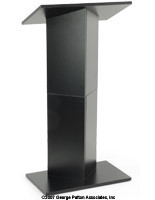 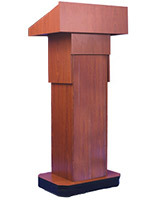 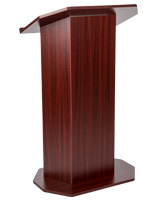 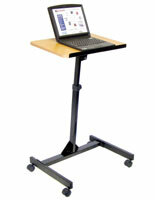 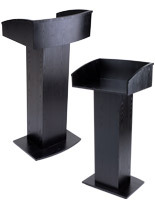 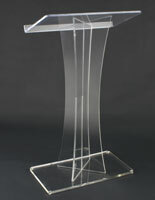 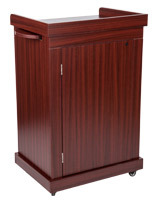 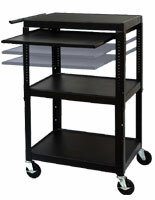 Check out podiums with rolling casters, adjustable work surfaces, and locks. 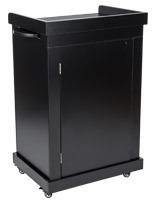 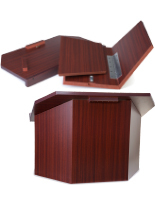 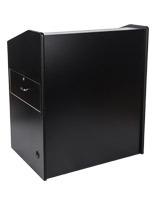 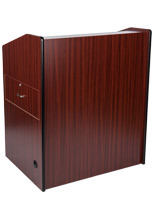 Lockable cabinets are ideal for any public institution, so faculty and staff can rest assured that expensive or sensitive items are always kept secure.